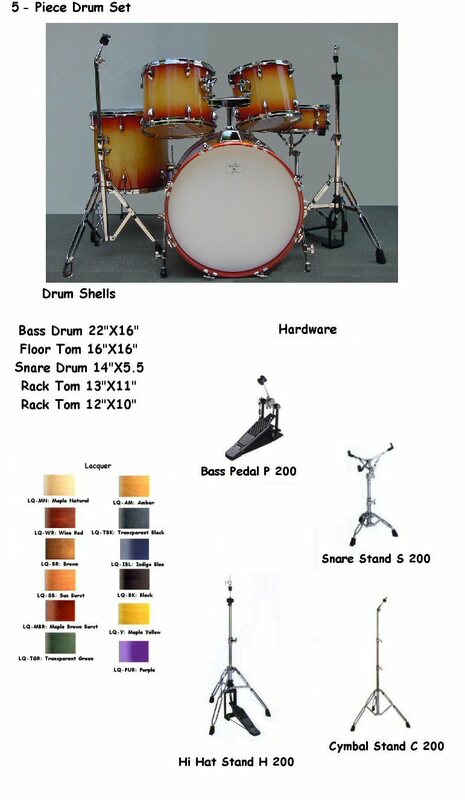 The HD 20522 5-piece Sun Burst Drum Kit is beautifully designed,Lacquer Finish with all heavy duty hardware. This one Has been donated to Sultana High School Hesperia CA. They are having a Drum a-thon in April and Billy is always willing to help the young and up-coming new drummers.